Coming up on less than 2 years since the harvest this Saint-Aubin 1er Cru is showing very well. A light yellow slightly silvery colour. A few green tints. 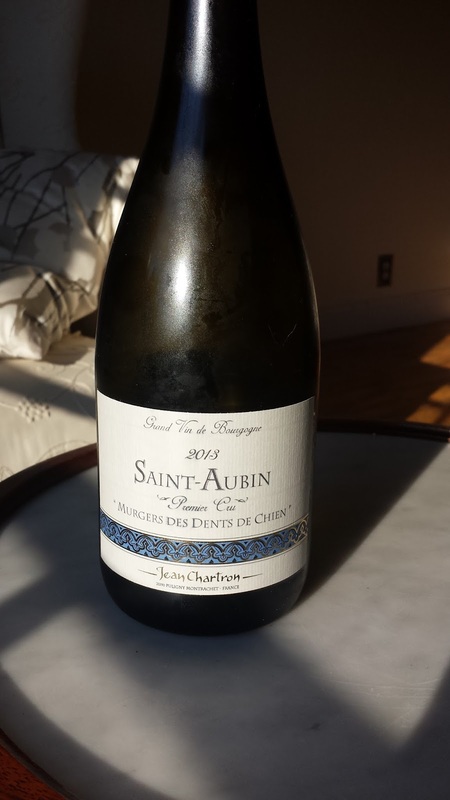 This white Burgundy is perfumed, lemon-dominated with an edge of pine nuts and mint. Green pear, daisies, buttercups, white honey. A wonderful palate of lemon, orange, tangy, dry and a good flavour of white honey on the palate. very classy. Really needs another 2 years to open up. Scores 23-25/30 for a Saint-Aubin 1er Cru.